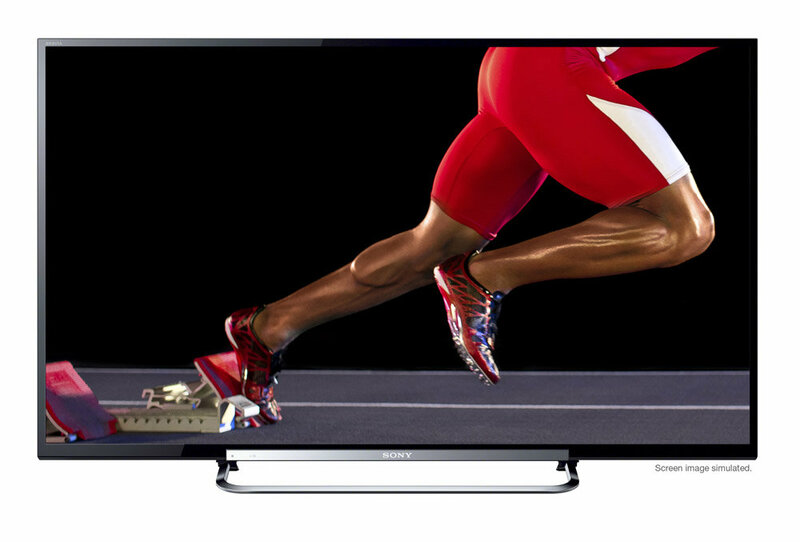 Enter a world of dazzling picture quality and unlimited entertainment with Sony R550 Series HDTVs. This elegantly slim LED TV boasts Full HD 1080p for incredible detail and Edge LED backlighting for outstanding contrast, rich colors and enhanced dark-scene detail. 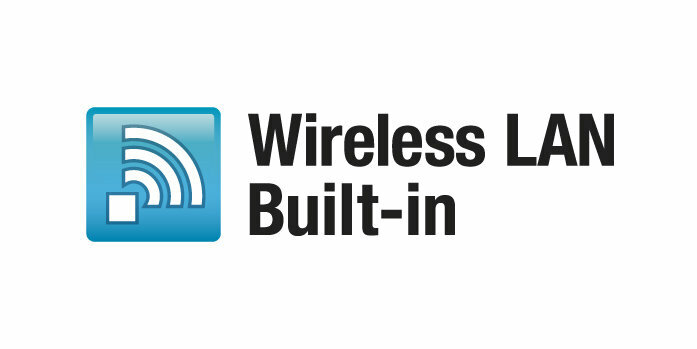 Built-in Wi-Fi® lets you connect to the Internet so you can watch YouTube™ clips and access online HD movies, music and more. Fast-paced motion seen in sports and action movies appears amazingly realistic thanks to Motionflow XR 240 technology. 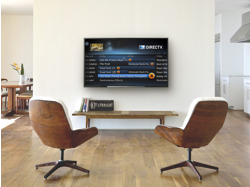 For DIRECTV® customers with a Genie™ Whole-Home HD DVR, the Sony R550 Series allows you to enjoy full DIRECTV service and HD DVR functionality without an additional receiver. 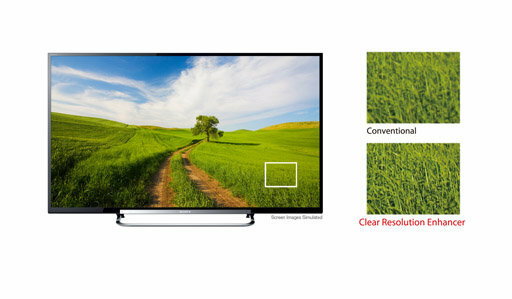 TV Screen Size Range: > 70"
The good: The Sony R520/R550 series offers excellent value and very good picture quality among its peers; relatively deep black levels; matte screen leads improves bright-room performance; attractive styling with unique stand. The bad: Even better values are available; colors aren't entirely accurate; the different Smart TV interfaces can be confusing and a little slow; Screen mirroring didn't work on our sample. The bottom line: The big-screen Sony R520/R550 series offers the best value you'll see from the company this year. Powerful yet thin LEDs deliver a radically brighter picture than conventional LCD backlighting. They also help achieve an ultra-slim TV design that looks beautiful in your home. What's more, Sony's Edge LED Backlight technology delivers outstanding contrast, rich colors and enhanced dark-scene detail. Watch the football retain its detail during a kickoff and move smoothly as the camera follows it from left to right. Even quick motion seen in action movies appears amazingly realistic as Motionflow™ XR 240 technology, which takes motion clarity beyond refresh rates, smoothes out the picture where the camera can't for clearer and more natural movement. 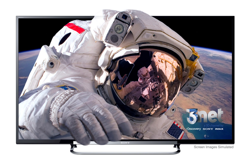 For DIRECTV customers with a Genie™ Whole-Home HD DVR, the Sony R550 series allows you to enjoy full DIRECTV service and HD DVR functionality without an additional receiver. 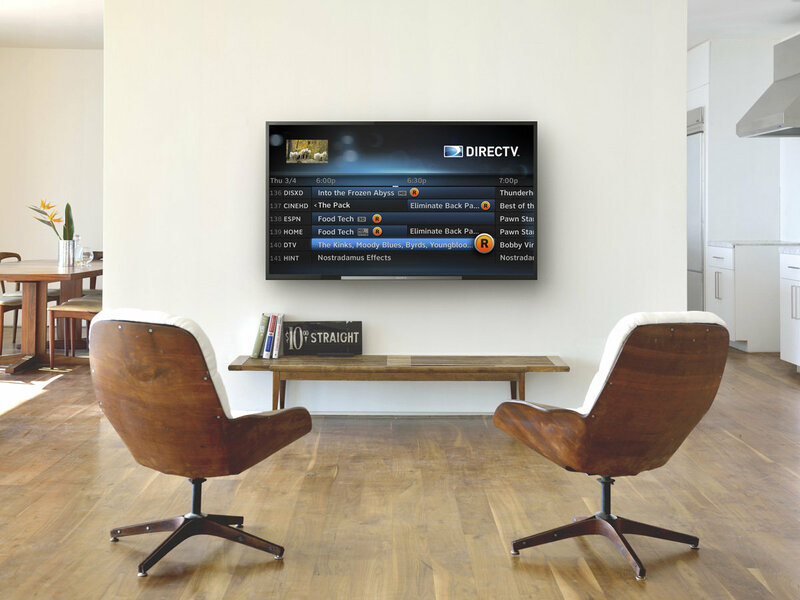 Place the Genie™ Whole-Home HD DVR in any room of the house and enjoy the clean look of your big screen on the wall without the clutter of connecting a DIRECTV receiver to it3. Maximize your entertainment while reducing cable clutter. Wirelessly stream beautiful, HD entertainment straight from the internet or your home network using built-in Wi-Fi® connectivity. Movies, music and apps from your smartphone can now be viewed big on your TV. With two ways to connect Android phones and tablets to the R550, Sony is helping you add value to the entertainment you already own. 1. Using a Mobile High Definition Link cable, you can connect your smartphone to the TV to literally “mirror” what’s seen on the smartphone screen. Video, photos and apps are re-sized and scaled to fit the larger TV screen. You can then use the TV remote to navigate the phone, while it’s charging from the TV5. 2. 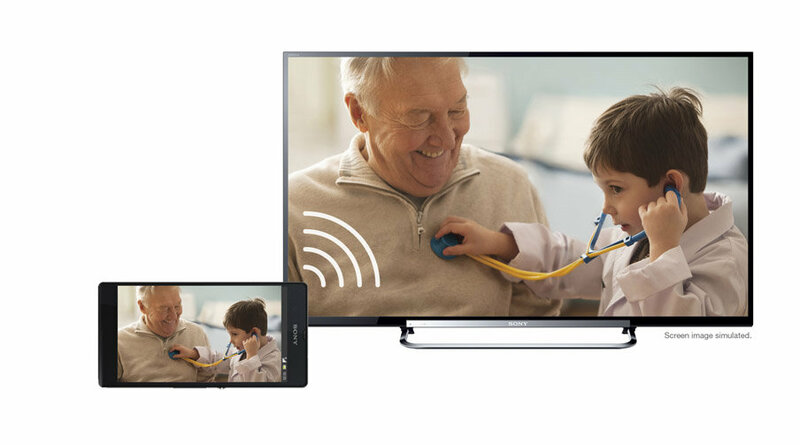 Using screen mirroring technology, you can connect phones that are Miracast™ enabled to the TV2. Using the same passive 3D technology used in movie theaters, feel the explosive excitement of theater-like 3D. Even the sound profile is enhanced for 3D viewing to provide a more immersive experience4. Slip on the latest generation of light, comfortable 3D glasses to enjoy your favorite 3D movies. Four pair of glasses included. Fine details and textures appear in whatever you’re watching, even in flat areas. Powered by Sony’s advanced noise reduction algorithm, this technology boosts image clarity with heightened contrast and depth that you won’t find on most televisions. Dazzle the whole family with ultra-crisp HD clarity and less grain. 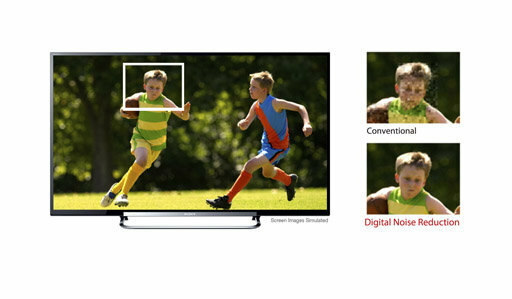 Digital Noise Reduction enhances detail in whatever you're watching with meticulous processing. It even helps clean up video from USB and other PC sources so the picture looks pristine and vivid. Tell us what you think about Sony BRAVIA KDL-70R550A 70" 1080p 120Hz 3D Internet LED HDTV, share your opinion with other people. Please make sure that your review focus on Sony BRAVIA KDL-70R550A 70" 1080p 120Hz 3D Internet LED HDTV. All the reviews are moderated and will be reviewed within two business days. Inappropriate reviews will not be posted.